Let’s get 32,782 Businesses, Marketing & Finance Niches PLR Articles. [YES] Can be packaged as a Bonus Product. [YES] Can be bundled into a Package. [YES] Can be Re-titled, Rewrote or Re-edited. [YES] Can be added to an Autoreposnder eCourse. [YES] Can be given away or sold without Resell Rights. [YES] Can be given away or sold with Resell Rights. [YES] Can be given away or sold with Private Label Rights. 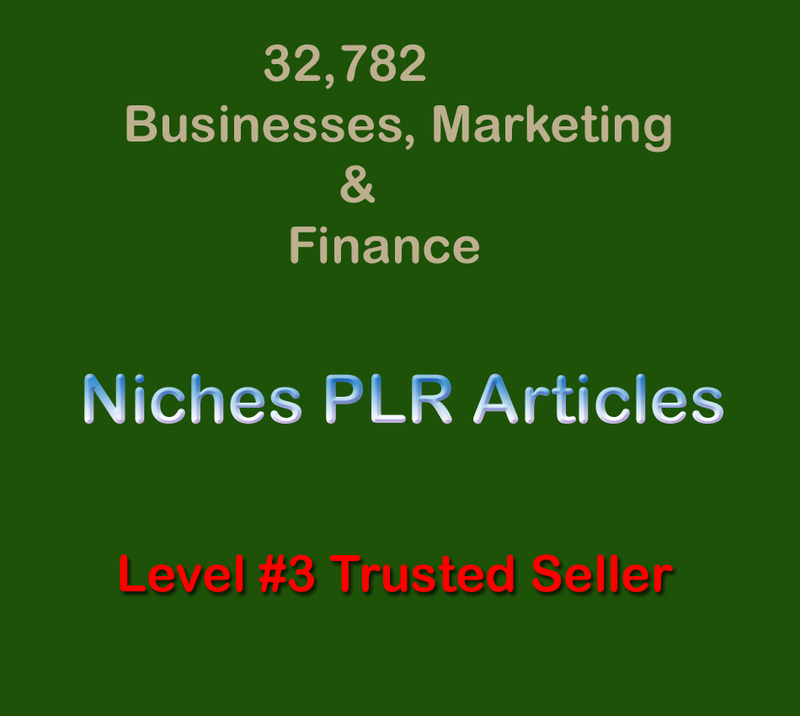 32,782 Businesses, Marketing & Finance Niches PLR Articles is ranked 5 out of 5. Based on 37 user reviews.